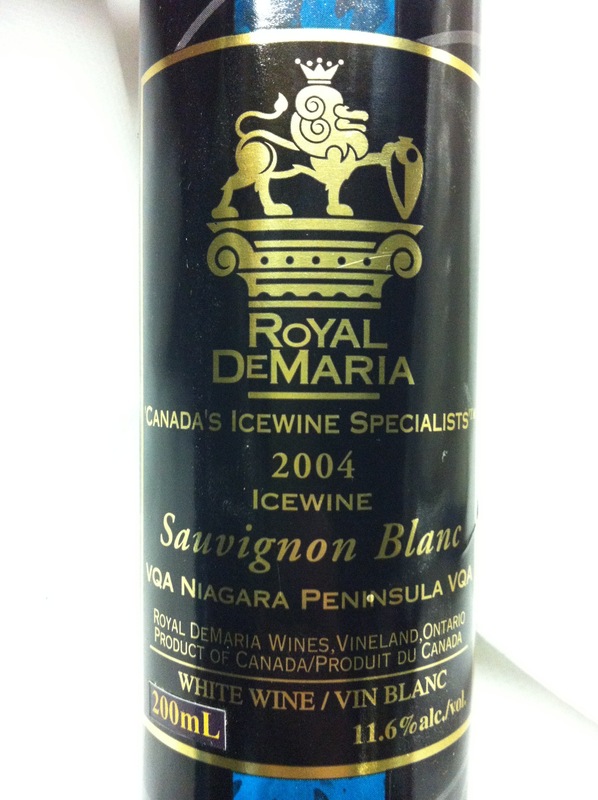 I received this wonderful bottle of Icewine from a past co-worker for my birthday a number of years ago. Royal DeMaria Wines is not a typical winery in any sense of the word “typical”. Focussing only on Icewine, Joseph DeMaria stumbled upon a proprietary “fumble” while making his first batch of Icewine and has used the technique since to make atypical Icewine. A colour of ultra-deep golden toffee. Nose of lanolin, candied gooseberry compote, perfumed high-note, slight rancio, oxidative sherry notes. Another smell that is hard to place, is it bananas foster?! Flavours of overripe gooseberry, bright seam of acidity that carries the golden elixir across the palate like a velvet hammer. Sherry notes and a perfumed aftertaste. Glorious to have aged icewine to sample on a whim. Magical liquid, not at all like the usual suspect of overly sweet and cloying icewine. Refined and elegant yet strong and firm. An enigma of a wine, finely superb.